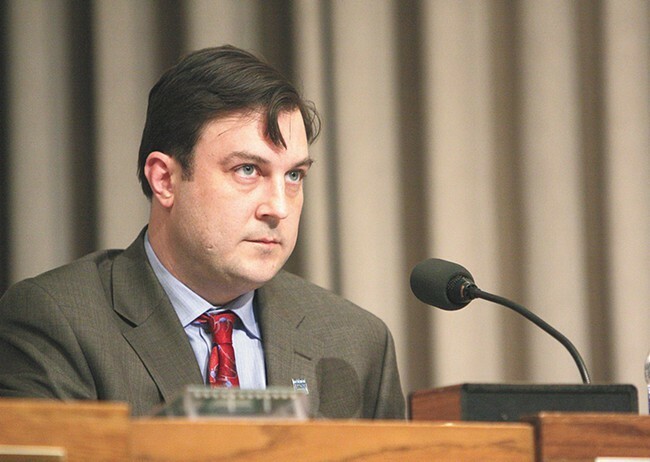 Spokane City Council President Ben Stuckart has agreed to a deal with the city's ethics committee over a complaint that he violated the ethics code by forwarding a confidential email to the president of the local fire union. The committee found that it had the jurisdiction and initial evidence to hold a full hearing on the complaint, but allowed Stuckart to agree to a "stipulation," acknowledging he committed the violation and paying a $250 fine instead of facing a hearing, says Mike Piccolo, the city council's attorney. Stuckart tells the Inlander he proposed the $250, which is “not going to break my bank, but is a fine nonetheless that I deserve to pay.” He says he doesn’t think the agreement will affect his relationship with the administration or any future elections. In the more than seven years since the city's ethics code was passed and the committee was created to hear possible violations, no one has been found guilty of a violation or had to pay a fine like the one Stuckart has agreed to, Piccolo says. The complaint against Stuckart was forwarded to the committee by City Attorney Nancy Isserlis last month. Specifically, she said Stuckart and other council members received an email from Assistant City Attorney Erin Jacobson about the course of legal action the city would take after losing a case in which the local fire union challenged the city's reorganization of the fire department, and Stuckart forwarded that email to Don Waller, the president of Local 29. Isserlis wrote in her complaint that she "believe[d] Mr. Stuckart was aware he was forwarding confidential information to the party opposing the City in pending litigation." She said she discovered the forwarded email while looking into a separate complaint from Waller about a budget action. When Isserlis forwarded the issue to the committee, Stuckart admitted to sending the email and apologized, but said it was nothing that wasn't already "common knowledge in the press or wasn’t already argued in the court case."